I am writing this piece in response to some complainant from people whom I believe are living in fear. I have written an article which was titled,” Dr Birhanu Nega Clinging onto a Straw.” Although I have had difficulties communicating with complainant due to the fact he has no name. He has posed to question to me: one, He has asked to me to provide him evidences that Dr Birhanu Nega debased the Ethiopian defense forces, and secondly he asked me evidences that Dr Birhanu Nega has connection with Ethiopia media. I told him Dr Birhanu Nega did say all those defamatory words in a paltalk. In addition, I have given him a copy of Dr Birhanu Nega statements from Aiga website. I also tried to post it to the public now, but now when I try to get from Aiga website, it is purged and it is not anymore there. However, my complainant refused to accept the evidences from Aiga website by saying it is not true. He also rejected the paltalk by stating that people who go to paltalk are not worthy which means indirectly Dr Birhanu Nega and I myself are not worthy of anything for mere attending virtual conferences with other fellow Ethiopians. I think my complainant has a problem technology. If by any chance my nameless complainant reads this piece, I want him to ask Dr Birhanu Nega himself. About my evidences that Dr. Birhanu Nega has connection with Ethiomedia and. This is a public secret. I do not think anyone will ask me an evidence for this except my nameless fellow Ethiopian. Dr Birhanu Nega was the leader of kinjit until very recently. Ethiomedia is the main kinjit outlet known to every Ethiopian, a website known as a hate factory and asking evidences for such matter is trivial and worthless. My complainant asked me for these evidences because I did ask for evidences that the election was stolen. I honestly have no clue whether the election was won by kinjit or EPRDF. I have heard that EPRDF won by the majority. I have heard an endless accusation of vote rigging but never came across any article which gives me any proofs or evidences. Why am I supposed to take to my heart hearsays or rumors or gossips of disgruntled affiliates? And that is the reason I did say there is no any evidence or proof. 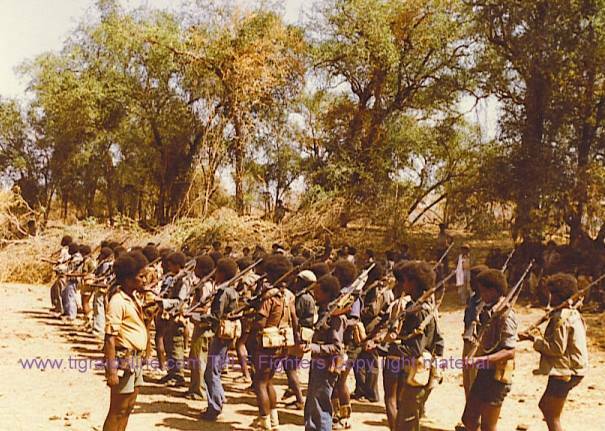 Ethiopian freedom fighters are just repeaters. They do not learn from the mistake of their fellows, and they do not learn from their mistakes. They do not admit their mistakes. They do not learn from the social environment they live in. This is the main problem of Ethiopia. Moreover, history tell us that Ethiopians were known for being the most brave, fast fierce fighters, honest, just, courageous people. Even the bible mentions it. In Isaiah it says Ethiopian, the bronze skinned, fast messengers across the sea by cypress boats, tall and beautiful, feared from far and near. However we have now a degenerated generation who live in an imbue of fear and who know nothing except hate. It does not matter where they live, they never change or learn. Today, tomorrow and in the future they are the same. Our people now live in fear, even if they live outside the country, even if they live inside the country all live in fear. I am not a psychologist, but I am sure psychologist will find this very interesting. According to me, these people have fear inside their heart. It is because of the insecurity they dream. It is subconsciously repressed in their inmost. Neither government officers nor opponents use their names especially in virtual social environment. If the virtual social environment could have been used honestly it could have solved many of our problems. Nonetheless, it all depends on the ground. The fear is an internal reflection of the individua’s inmost emotion and feeling. Probably the government officers fear of revenge at some stage in their lives if they are being known by their name when they speak in virtual space. The same goes to for the others. If we are afraid to speak out our opinions using our names in the cyber spaces, I do not think it would be feasible to liberate others fellows from fear. Fear is the cause of all failures, mistrust, conflict, hate, war,…. If we are to be true freedom fighters, we need to liberate ourselves first from fear. I am saying all these to encourage my complainant to use his name and to use also the Technology to understand his fellows. In conclusion, my complainant, leave alone Dr Birhanu Nega, I have neither the quality nor the interest to engage myself to defame any human being. Nonetheless, I am not afraid of anyone to say the truth. I have a right to say what I feel,read, think, see is wrong. If you have the gut you must able to come forth and tell me I am wrong. If I do wrong I am not either afraid to correct myself as long as your convince me in a civilized manner.